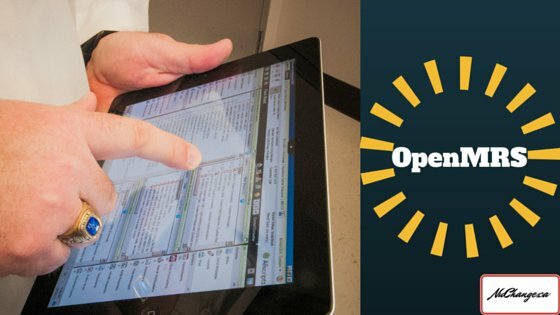 OpenMRS was created in 2004 as an open-source EMR platform for developing countries. Unlike most other open-source EMR systems, it is conceived as a platform that can be extended by user contributed modules to support a variety of use cases. OpenMRS is supported by a vibrant open-source community led by Regenstrief Institute, a world-renowned leader in medical informatics research, and Partners In Health, a Boston-based philanthropic organization. Some of the design features that make OpenMRS unique are the central concept dictionary for defining meta-data and the extensible modular architecture. The concept dictionary manages metadata that support the creation of forms for various needs without generating database tables for each. The modular architecture leverages the power of the spring framework to isolate modules from the core. There is more than 200 user contributed modules supporting various use cases from Ebola screening to DHIS reporting. Here is a module that I have written for dermatology. OpenMRS is founded on the principles of openness and sharing of ideas, software and strategies for deployment and use. Like openMRS, most of the modules are also open-source and can be freely downloaded, used and even extended. Though OpenMRS development is actively supported by developers here, there is only a handful of installations in the US and none in Canada. Though EMR adoption has significantly increased in Canada recently, there are still a big number of practices relying on paper records. Though there are popular open-source EMRs, many existing installations are not being used because of the usability concerns and the difficulty in customizing to the individual needs. OpenMRS is primarily designed to solve these issues. However, it did not have support for billing, an important aspect of practice workflow in Canada. We have recently built a billing module for Ontario! The module leverages the power of AngularJS to create an easy and intuitive user interface. We are hopeful that this module will help us in introducing OpenMRS to Canada. We are looking for partners in this venture. Interested? Don’t hesitate to contact us. What are your service and diagnosis codes? It looks like CCI and ICD-9? Would you consider leveraging the OpenMRS concept dictionary to populate those fields getting the codes from the mapping table? What do you think of the approach taken by Bahmni (http://www.bahmni.org/) of connecting OpenMRS to OpenERP/Odoo for the billing part?